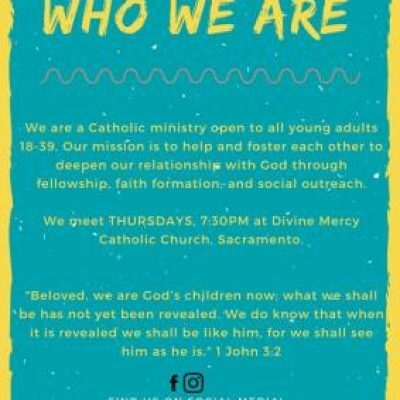 Who we are: We are a Catholic young adult ministry at Divine Mercy; however we welcome all young adults regardless of faith. Our ministry is for any single or married young adults with or without children between the ages of 18-39. We are here to serve one another, therefore, please feel free to join us whenever you can. Mission: To help and foster each other to deepen our relationship with God through fellowship, faith formation, and social outreach. By enriching our spiritual lives, we can have a clear understanding of God’s word and teachings as it applies in our lives. 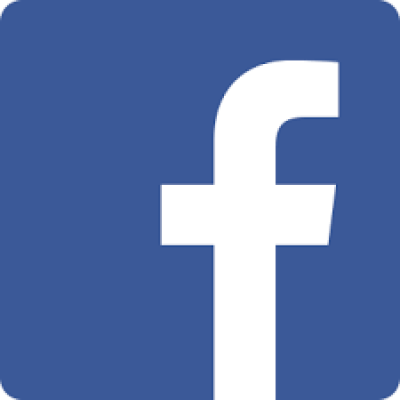 – Faith Formation: The faith sharing meeting/potluck is every 1st and 3rd Thursday of the every month from 7:30-9:00pm.